Jason Kelce had himself a game against the Seahawks. 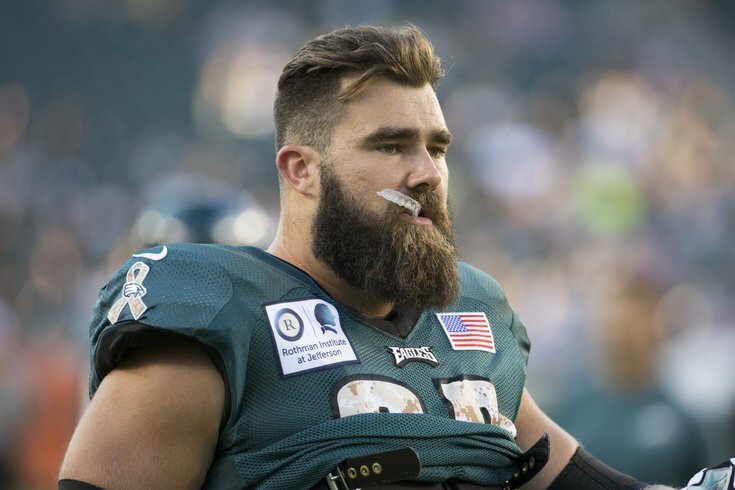 Once upon a time, Philadelphia Eagles center Jason Kelce was a fan favorite. In more recent years, he has become more of a polarizing player. While he is as athletic as any offensive lineman in the NFL, he will also struggle against much bigger defensive tackles. The Eagles love Kelce's smarts and have credited him with making life easier on Carson Wentz by making correct line calls before the snap. However, it is unknown whether they would prefer a bulkier center who can move defenders in the run game, or if they prefer Kelce's skill set which allows him to get to the edges on screens and sweeps. Against the Seattle Seahawks last Sunday, Kelce had a great game. While he has committed a somewhat alarming number of penalties and will struggle against bigger DTs, Kelce has yet to allow a sack all season long, and he certainly has his good moments, like the ones shown above. If the Eagles were to cut or trade Kelce next offseason, they would save $3,800,000 of his $6,200,000 cap number in 2017. I don't see that happening.